Understanding a model was never going to be enough for Motorola, their chosen solution had to be a catalyst that by definition grows and develops. The use of Situational Leadership® is acknowledged to be one of the main contributors to improving the ongoing performance of the people in Motorola. 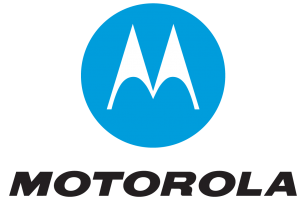 Motorola competes in a fast and dynamic business sector and in the last five years the company has changed from all recognition. Having skilful leaders and a committed workforce is essential to their survival in what is proving to be one of the most challenging periods of its history. Motorola recognised that successful leadership was more than simply ‘doing the right thing’ and being able to respond and react appropriately as a leader. What they wanted was a model that transferred into a dynamic process that not only achieved results at critical moments but continued to develop people such that they could constantly improve their performance. Situational Leadership® has always been at its most simple a three stage process. First we teach a simple process, second we engage and add the ‘person’ and thirdly and most importantly we apply this to the work situation and give it energy. The huge difference between Situational Leadership® and many of its rivals is that it is dynamic and has an agenda that is about growing people. Motorola decided to adopt the ‘Leader as a Coach’ programme. This begins with the fundamentals of Situational Leadership® and then concentrates on how to develop and grow people in a constant and dynamic fashion, enabling them and their teams to become significantly more effective. Critical to this process is an acknowledgment that every action taken by a leader is done on purpose and with intent; even, believe it or not, doing less and just listening! Being able to coach and facilitate is a vital tool for a leader whose goal is to achieve results through others. GBS positioned and delivered the programme in such a way that it was actually the beginning of a better way of getting results rather than a one off solution to a specific problem. The programme has been delivered on a worldwide basis and is acknowledged to be one of the main contributors to improving the ongoing performance of the people in Motorola. Post course discussions with delegates have revealed some interesting feedback which needless to say we are very proud of and would like to share with you.